From 1913 to 1930, this was the tallest building in the world. It’s a beautiful building, the first time I saw it, I think I stopped and stared for a long time. Eventually, I made my way inside City Hall park, which is right across, so I can sit and stare some more. 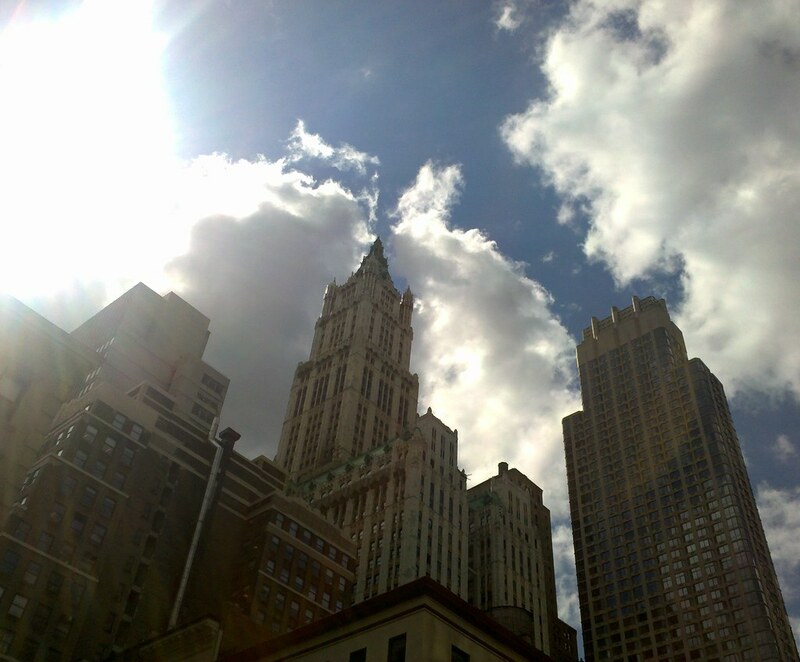 My Mom worked in the Woolworth Building in the late 1920’s – early 1930’s.